Just last week we reported that Casper (of boxed mattress fame) has launched bedding, but turns out that's not all the company has been up to as of late. 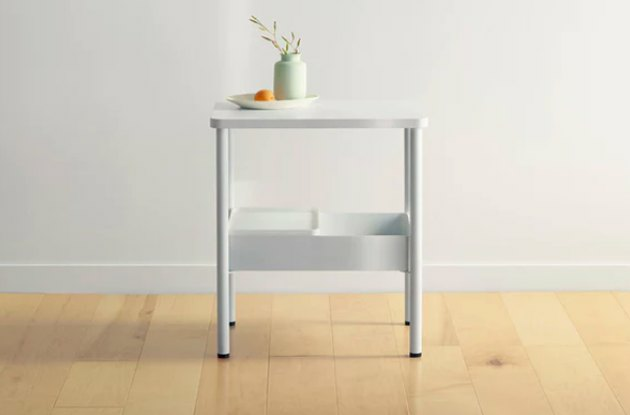 We say this because today they've also released pieces of minimalist furniture at mid-range prices, available for pre-order: A platform bed and a nightstand. Both pieces ship out September 14. 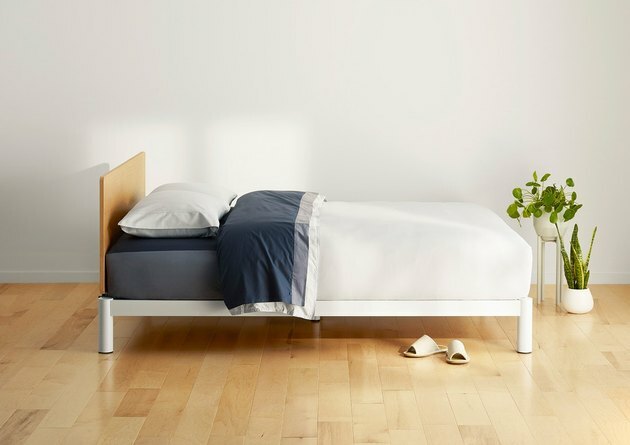 The bed, made of powder-coated, aircraft-grade aluminum, starts at $895 and comes in white or a slate gray. It's quick and easy to assemble and doesn't require a foundation or box spring. The bed's matching headboard starts at $375 and comes in white, a premium wood-finish oak, or slate. The nightstand also comes in white or slate at $275. It's designed to help you avoid distractions and stay organized once bedtime comes. 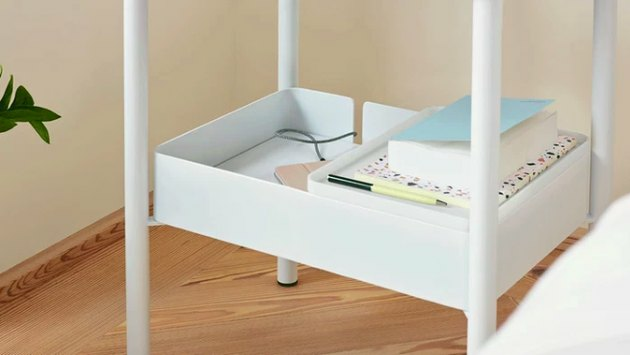 It has a notch in its lower level to keep your cords tidy, and a tray that can slide to cover your phone so you're not tempted to take a peek instead of falling asleep. The nightstand arrives fully built, so no DIY skills necessary here. With a matching bed and nightstand, mattresses, and bedding, we can totally deck out our bedrooms in Casper pieces now. So we wonder what's next for the company: Home decor? A focus on the remaining rooms of the house?